Justice League is a movie I had been waiting for nearly my entire life. I remember being six years old and watching Superfriends and getting so excited whenever I heard that theme and the retro narration. Back then, I didn’t care how cheesy it was; all I cared about was seeing Superman and the rest of the Superfriends beat the bad guys. A few years later, animation legend Bruce Timm came on with the Justice League series. Now, instead of retro cheesiness, we had a show with the maturity of Batman: The Animated Series. Whether it was Superman being alone on an island without powers or the entire Justice League being arrested for the damage they caused while under the control of Darkseid, this series set a new bar. So when Justice League was announced (with a release date exactly 16 years to the day of when the series was released, something that I feel should’ve been used in the marketing), I was so excited. How would Superman come back? Would Hal Jordan make a cameo? Please let Cyborg say “Boo-yah!” Finally, the day came. I went to the theater and… I liked it, and went twice. I loved the relationship between Barry and Bruce in Justice League. I particularly related to Barry in his first conversation with Bruce, as we have all felt a sense of loneliness in our lives, an inherent need to belong despite perhaps being a little bit different in some way. This conversation is what has heightened my excitement for the upcoming Flash movie. Compound that with the idea that Flash has no idea which way is east, and we will have a movie that sets it apart from the CW TV show. It was so cool to see Cyborg in live action. It was clear from early trailers for Justice League that a lot was cut out of the Cyborg story, particularly his football career. Still, his arc was fantastic. It was great to see him learn to not worry about the things he lost and embrace the things he has gained. Wonder Woman was great, of course, and only made me anticipate her sequel even more. I loved how, in many ways, she was essentially co-leading the team with Bruce, lending a soft touch and cool head where Bruce was combative and gruff. As for Aquaman, while his take was different than what I was used to, his surfer dude attitude was pretty damn cool and, in the end, set Jason Momoa’s take on the character apart from pretty much any other superhero out there today. The persona he is projecting is all the better when it is revealed later on that it is merely a facade hiding deep fears and desires to do all the things we all long for in our lives. Then there’s Superman, the king of all superheroes. This was the Superman I was waiting for. It was almost as though he walked right out of the animated series and the Christoper Reeve series, imbuing the character with a sense of hope and optimism for which people had often been clamoring. Don’t get me wrong; I loved Nolan and Snyder’s take on the Man of Steel in his titular film. But it was good to see a Superman that finally seemed comfortable in his own skin. While I would’ve been very curious about Junkie XL’s original score for Justice League, Danny Elfman’s musical cues from the 1989 Batman and the classic Superman theme only served to bolster the film as a classic DC story and one that I’ll return to again and again. So yeah, I liked it, but I understand why a lot of people didn’t. This movie was a weird amalgamation of two different directors: one known for quippy superhero one-liners with bright colors celebrating the traditional superhero portrayal, while the other deals in a deconstructionist portrayal of our favorite superheroes, with dour expressions on their faces, saturated colors and arguably gratuitous violence. With the latter, I’ve always enjoyed his films because they’ve felt like a punch in the face to my expectations. When you go to a Zack Snyder superhero movie, the heroes aren’t heroic; they take themselves seriously as they try to go through a world that is seemingly falling apart around them, be it Watchmen or BvS. Had he stayed on till the end, Justice League would have been the same. Snyder wants to shock you while Whedon’s aim was only to lighten the mood. Many reviews of Justice League conceded that it was on the right track, and that was due to Whedon’s classical approach to the DC pantheon. Yet people still tend to wonder what Snyder’s version would have been, flocking to his Vero account with any kind of theory. What makes this different is that, unlike a lot of other directors, Snyder tends to be rather forthcoming with answers for his many fans. A prime example is the fact that the Robin who died, whom everyone thought was Jason Todd, turned out to be Richard, which made fans question how exactly WB planned to do a Nightwing film when the man who is known to be the character is dead. Situations like this continue to divide the fan base. While some people love Zack Snyder’s avant-garde approach to superhero mythologies, others would prefer the more traditional method; it is this controversy that keeps the fans arguing. Justice League was supposed to be the pinnacle of the DC Film Universe, as well as a launching pad for more stories. Instead, several potential films like Cyborg, Flash, and, most notably, a Justice League sequel, are now in question, despite the light tone at which Justice League hinted. 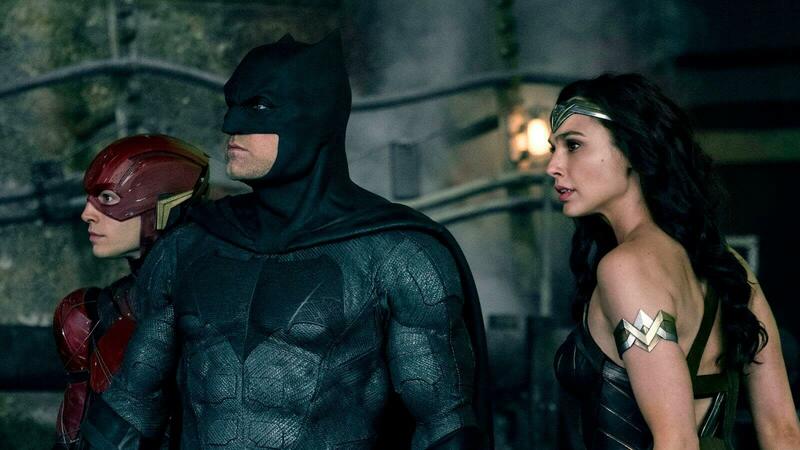 Even worse, both Ben Affleck and Henry Cavill are supposedly out as two of the trinity. Yet, there is hope. With Aquaman soon to be released, along with Shazam, Wonder Woman 1984 and Harley Quinn’s Birds of Prey, the universe is pressing forward. Aquaman seems to be embracing the aforementioned lighter tone, so perhaps with a little bit of patience, the DC fandom will have the movie that will unite us.